Wolf Commercial Real Estate, a premier Southern New Jersey commercial real estate brokerage firm that specializes in South Jersey commercial real estate listings and services, now has available South Jersey retail space for lease at Kingsway Plaza Maple Shade NJ. This highly visible Southern New Jersey retail space for lease at 300 South Lenola Road Maple Shade NJ features two units available for lease, one – Store #18 – that is 1,400 square feet and the other – Store #23 – that is 1,753 square feet. The asking lease price for this retail space in South Jersey at Kingsway Plaza Maple Shade NJ is $16.00 per square foot NNN. This retail space in Southern New Jersey is available for immediate occupancy through Wolf Commercial Real Estate, a Southern New Jersey commercial real estate broker with expertise in South Jersey commercial real estate listings and services. 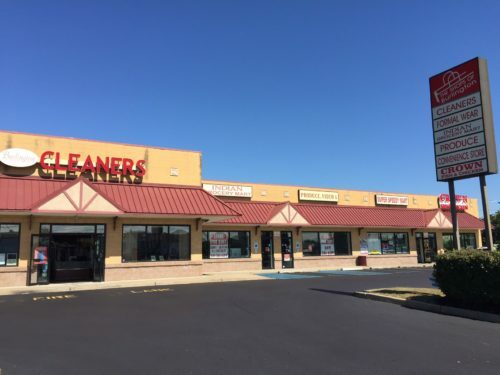 This South Jersey retail space for lease at 300 South Lenola Road Maple Shade NJ is located at Old Kings Highway and Kings Highway and nearly 15,000 vehicles a day pass this retail space in South Jersey. The Moorestown Mall, Eastgate Plaza, and other high-traffic retailers are nearby this Southern New Jersey retail space for lease at Kingsway Plaza. Parking is ample at this Southern New Jersey retail space for lease at 300 South Lenola Road Maple Shade NJ and this retail space in Southern New Jersey features both pylon and above-store signage. This South Jersey retail space for lease is currently available through Wolf Commercial Real Estate, a Southern New Jersey commercial real estate brokerage firm with expertise in South Jersey commercial real estate listings and services. This retail space in South Jersey is surrounded by a densely populated area as more than 205,000 people reside within five miles of this Southern New Jersey retail space for lease. The average household income within the same radius of this retail space in Southern New Jersey at Kingsway Plaza is $106,774. For more information about this South Jersey retail space for lease at Kingsway Plaza Maple Shade NJ or about other South Jersey commercial properties for sale or lease, please contact Christopher R. Henderson (856-857-6337; chris.henderson@wolfcre.com) or Jason Wolf (856-857-6301; jason.wolf@wolfcre.com) at Wolf Commercial Real Estate, the foremost Southern New Jersey commercial real estate broker. Wolf Commercial Real Estate, a leading South Jersey commercial real estate brokerage firm that specializes in South Jersey commercial real estate listings and services, now has available a sale opportunity for ownership of premier South Jersey retail space for sale in Maple Shade. 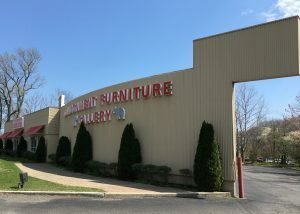 This retail space in South Jersey is a free-standing retail building located at 454 Route 38 East Maple Shade NJ. This South Jersey retail building for sale has +/- 6,500 square feet of highly visible retail space. The asking sale price for this retail space in South Jersey is $635,000. This South Jersey retail building for sale is being offered for sale by Wolf Commercial Real Estate, a South Jersey commercial real estate broker with expertise in South Jersey commercial real estate listings. There is a large open-spaced floor at this South Jersey retail space for sale at 454 Route 38 East Maple Shade NJ and there are high ceilings at this easily customizable retail space in South Jersey. Situated on heavily traveled Route 38 in a high demographic area of South Jersey, this retail space in South Jersey sits in a location that is zoned for commercial use. The roof on this South Jersey retail space for sale at 454 Route 38 East Maple Shade NJ is three-years old and has a 10-year guarantee. Daily, more than 57,000 vehicles pass through the intersection of Route 38 and West Rudderow Avenue near this South Jersey retail building for sale. There is ample parking in the rear of this South Jersey retail building for sale and more than 250,000 people reside within five miles of this South Jersey retail space for sale and the average household income in the same area is $99,029. This South Jersey retail building for sale is available for immediate occupancy through Wolf Commercial Real Estate, a South Jersey commercial real estate broker that specializes in South Jersey commercial real estate listings and services. In addition, this retail space in South Jersey features both freestanding pylon and storefront façade signage. 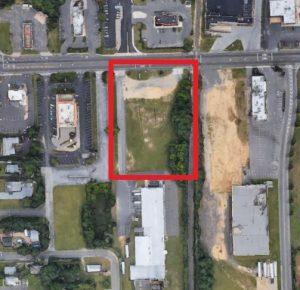 For more information about this South Jersey retail space for sale at 454 Route 38 East Maple Shade NJ or about any other South Jersey commercial properties for sale or sale, please contact Ryan J. Barikian (856-857-6307; ryan.barikian@wolfcre.com), Christopher R. Henderson (856-857-6337; chris.henderson@wolfcre.com), or Jason Wolf (856-857-6301; jason.wolf@wolfcre.com) at Wolf Commercial Real Estate, a South Jersey commercial real estate brokerage firm. About 37,000 retailers, retail brokers, investors and other retail professionals doing business in U.S. and South Jersey retail real estate markets gathered recently in Las Vegas for RECon, the industry’s largest trade convention, amid a tangible sense of frustration. 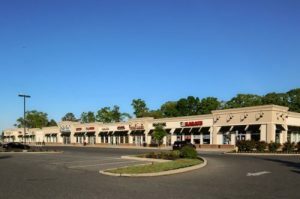 That exasperation was not as much about the commercial real estate market – including South Jersey retail space – which remains uniformly good, but rather over the gloomy headlines and negative narrative regarding store closures and retailer bankruptcies that have dominated recent headlines. 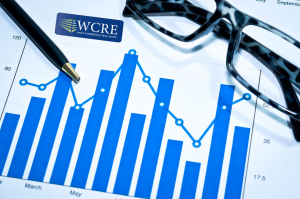 This report on national and Southern New Jersey commercial properties is being made through South Jersey commercial real estate broker Wolf Commercial Real Estate, a South Jersey commercial real estate brokerage firm. Attendees adopted a defensive stance with a hint of defiance about what many described as overblown sense of negativity by news outlets and industry analysts in reporting and dissecting the woes of those retailers in the U.S. and South Jersey commercial real estate markets as Sears, JCPenney, Macy’s and a series of apparel chains and others that have announced closures. Throughout the sessions, brokers, landlords and retailers dealing with U.S. and South Jersey commercial real estate properties ridiculed headlines pronouncing a “retail Armageddon” and the death of brick-and-mortar stores. By the third day, however, the narrative at the annual celebration of global consumerism had shifted to hammering out deals involving national and South Jersey commercial real estate listings and sharing sale and lease strategies in the changing environment. Conference goers worked their phones and packed the Las Vegas Convention Center floor scouting out potential deals. Panel discussions involving the U.S. commercial real estate market – including South Jersey retail space – focused on repurposing malls and shopping centers with the latest food, beverage and entertainment concepts, redeveloping aging Class B properties and rooting out the “hidden money traps” in onerous leases. Many major mall players have largely weeded out B and C properties and are focused on building ‘fortress’ investments in their best assets and locations. For example, one major mall owner announced plans to add restaurant and entertainment space throughout its U.S. and South Jersey commercial real estate listings and to redevelop former department store sites to keep up with the changing preferences of its customers. For more information about South Jersey retail space or other Southern New Jersey commercial properties, please contact Jason Wolf (jason.wolf@wolfcre.com; 856-856-6301) or Tony Banks (tony.banks@wolfcre.com; 215-799-6900) at Wolf Commercial Real Estate, a leading South Jersey commercial real estate broker that specializes in South Jersey retail space. Wolf Commercial Real Estate is a South Jersey commercial real estate brokerage firm that provides a full range of Southern New Jersey commercial real estate listings and services, marketing commercial offices, medical properties, retail properties, land properties, retail buildings and other Southern New Jersey commercial properties for buyers, tenants, investors and sellers. Wolf Commercial Real Estate, a South Jersey commercial real estate broker with expertise in Southern New Jersey commercial real estate listings, provides unparalleled expertise in matching companies and individuals seeking new South Jersey retail space with the Southern New Jersey commercial properties that best meets their needs. 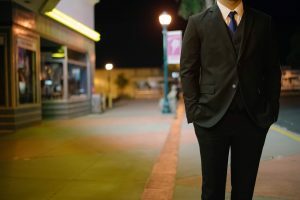 As experts in Southern New Jersey commercial real estate listings and services, the team at our South Jersey commercial real estate brokerage firm provides ongoing detailed information about Southern New Jersey commercial properties to our clients and prospects to help them achieve their real estate goals. If you are looking for South Jersey retail space for sale or lease, Wolf Commercial Real Estate is the South Jersey commercial real estate broker you need — a strategic partner who is fully invested in your long-term growth and success. Please visit our websites for a full listing of Southern New Jersey commercial properties for lease or sale through our South Jersey commercial real estate brokerage firm. One of the most simple, and overlooked, ways to increase ROI on rental properties is hiring a quality property manager. If you are looking to improve your rental investment business, it is time to hire a manager or find a new one. Diligence is vital: take the time and effort to interview and search for the right person. A Property Manager will boost ROI by increasing occupancy rates, finding dependable tenants, saving money on maintenance costs, and most importantly – providing peace of mind. Diligence is important: take the time and effort to interview and search for the right person. You want a professional manager, someone who commits to his career. Wolf Commercial Real Estate, a premier Southern New Jersey commercial real estate brokerage firm that specializes in South Jersey commercial real estate listings and services, now has available South Jersey retail space for lease at Pep Boys Plaza Cinnaminson NJ. 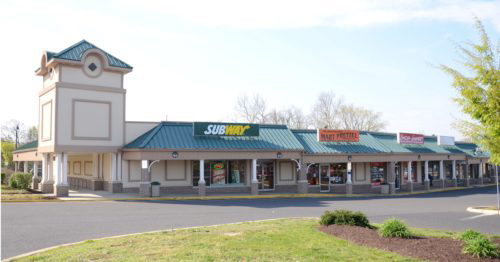 This highly visible Southern New Jersey retail space for lease at 202 Route 130 North Cinnaminson NJ features two units available for lease, one that is 1,600 square feet and the other 7,130 square feet. The asking lease price for this retail space in South Jersey at Pep Boys Plaza Cinnaminson NJ is $15 per square foot NNN. This retail space in Southern New Jersey is available for immediate occupancy through Wolf Commercial Real Estate, a Southern New Jersey commercial real estate broker with expertise in South Jersey commercial real estate listings and services. This South Jersey retail space for lease at 202 Route 130 North Cinnaminson NJ is located at Route 130 and Highland Avenue. More than 55,000 vehicles a day pass this retail space in South Jersey. Pep Boys Plaza, where this Southern New Jersey retail space for lease is located, is anchored by Pep Boys and features Subway, Eastern Dental and Zio’s Tuscan Grille. Other retailers located near this retail space in Southern New Jersey include TD Bank, Dunkin’ Donuts, McDonald’s, ShopRite and Burlington Coat Factory. Parking is plentiful at this Southern New Jersey retail space for lease at 202 Route 130 North Cinnaminson NJ with a ratio of 4.08/1,000 sf. The Pep Boys Plaza shopping center features both store front and pylon signage. This South Jersey retail space for lease is currently available through Wolf Commercial Real Estate, a Southern New Jersey commercial real estate brokerage firm with expertise in South Jersey commercial real estate listings and services. 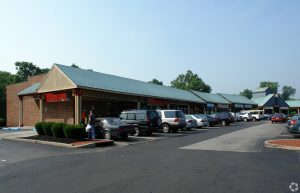 This retail space in South Jersey is surrounded by a densely populated area. More than 360,000 people reside within five miles of this Southern New Jersey retail space for lease. The average household income within the same radius of this retail space in Southern New Jersey is $65,982. For more information about this South Jersey retail space for lease at Pep Boys Plaza Cinnaminson NJ or about other South Jersey commercial properties for sale or lease, please contact Jason Wolf (856-857-6301; jason.wolf@wolfcre.com) at Wolf Commercial Real Estate, the foremost Southern New Jersey commercial real estate broker.